LET YOUR IMAGINATION RUN WILD. Large 28000 sq ft lot DEVELOPMENT POTENTIAL, or keep part of Chilliwack's history alive with this unique 1940 built home that is unique w/ peaceful setting in one of Chilliwack's nicest family locations. 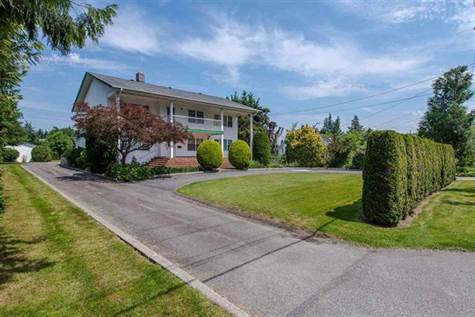 4 bedroom 4 bathrooms on over 4000 sq ft of livable space with a well kept manicured yard and detached SHOP. There isn't many places like it so don't miss out on this opportunity. ©2003-2019 Century 21 Coastal Realty Ltd.